This is without a doubt one of my favorite games to play. I had a little trouble getting a boat to spawn, got lost a few times, and had fun every step of the way. 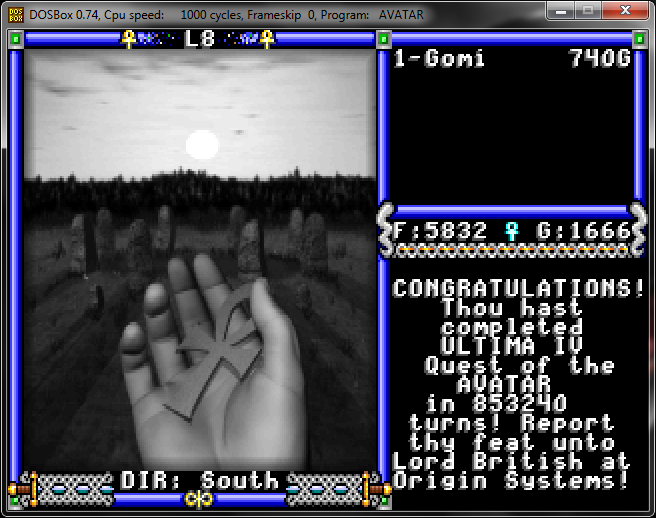 If you ever play any Ultima game this is the one. Play it on the PC (it’s free at gog.com) or play it on the NES, just play it. Update: This happened shortly after I posted my accomplishment on twitter. 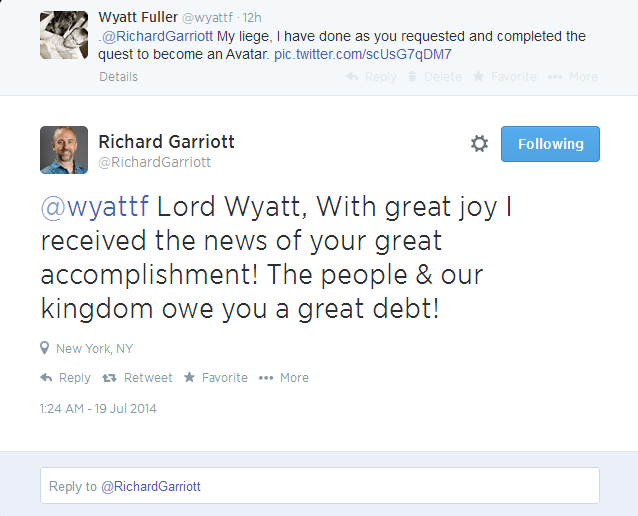 How fantastic is it that Richard Garriott aka Lord British takes the time to personally congratulate everyone who wins an Ultima game?